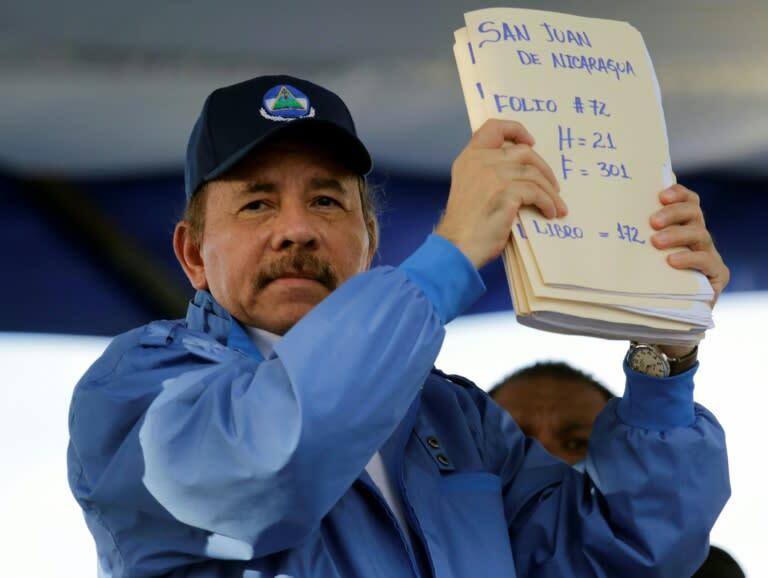 The government of Nicaraguan President Daniel Ortega on Friday expelled the United Nations human rights mission two days after it published a report criticizing the "climate of fear" in the Central American country. The announcement came in a terse statement from the foreign ministry in Managua. "Considering the reasons, causes and conditions that gave rise to this invitation have ceased, the ministry announces that it has terminated the invitation and ended the visit, as of today," it read. The head of the mission, Guillermo Fernandez Maldonado, had earlier been summoned by Foreign Minister Denis Moncada. In a statement, the UN rights mission said it would "continue its work" of monitoring the situation in Nicaragua remotely, in accordance with its mandate from the UN General Assembly. Pro-government supporters surrounded the UN mission's headquarters and a nearby hotel housing foreign journalists for several hours on Friday, at one point preventing anyone from entering or leaving. They eventually left the area without incident. Released on Wednesday after months of investigations, the UN report demanded urgent action and criticized the government over its heavy-handed response to anti-regime protests during months of turmoil in the country that rights groups say have left more than 300 people dead. Vilma Nunez, president of Nicaraguan Center for Human Rights (CENIDH), told reporters the decision was "inexplicable." "It reflects the spirit of someone who feels completely lost and can no longer hide his responsibilities and hide from the truth," she added in a clear reference to Ortega. The United Nations had denounced a wide range of serious violations, including disproportionate use of force by police, which in some cases resulted in extrajudicial killings, enforced disappearances, arbitrary detention and torture. "The violence and impunity of these past four months have exposed the fragility of the country's institutions and the rule of law," UN rights chief Zeid Ra'ad Al Hussein warned in a statement, describing a "climate of fear and mistrust." Ortega, a former guerrilla leader who has been in power for the last 11 years, refuted the claims and described the UN as "an instrument of the policies of terror, lies and infamy." The Nicaraguan authorities routinely label opposition demonstrators as "coup-plotters." The government's official death toll for the demonstrations is 198 and firmly blame the opposition. 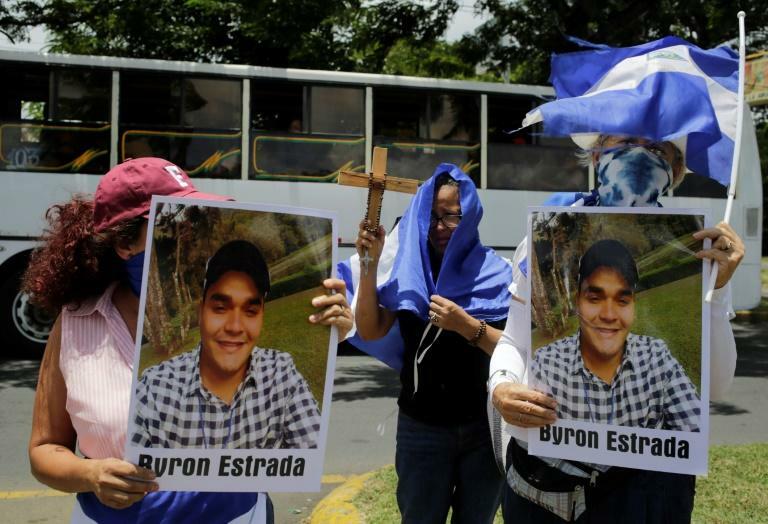 On Thursday, hundreds of Nicaraguans formed a human chain in the capital Managua to demand the release of people detained during the protests. "Freedom for all political prisoners" and "Justice" they chanted. Thousands of Nicaraguans have fled the country to seek refuge in neighboring Costa Rica for fear of being arrested as part of a government crackdown on Ortega opponents. 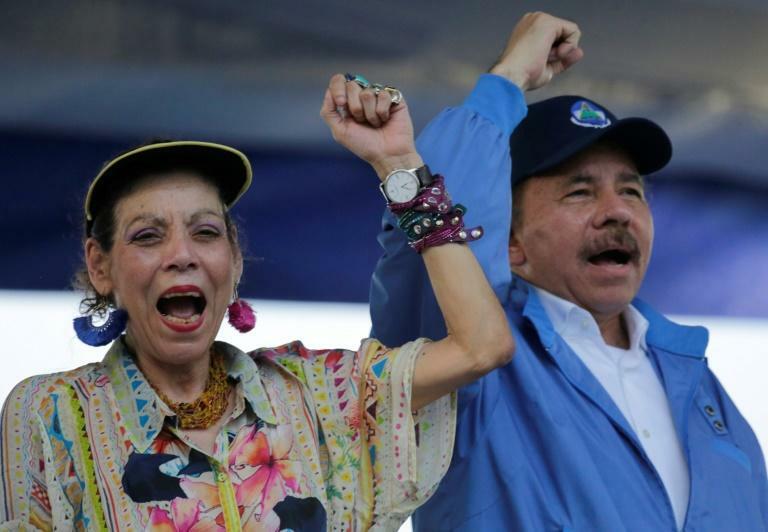 The opposition accuse Ortega or corruption and nepotism and establishing a dictatorship with his wife Rosario Murillo, who is also vice president. They are demanding a presidential election scheduled for 2021 be brought forward to March of next year, but Ortega has steadfastly refused.